Chicago. It’s OUR Kind of Town. I’ve been to Chicago several times in my life. Most of it was for CHA (craft trade show), once with with Lisa Bearnson when she was on Oprah, and once was for a scrapbook retreat in Michigan (2 hours from Chicago) in 2000 with girls from the Provo Craft design team…which included Stacy Julian and Kristina Nicolai-White (2Peas). Pretty much before everything was really big in the scrapbooking industry. Every time I go I have such an adventure! Great times. It’s a city that just becomes a part of your soul. I can’t put my finger on it. Then last summer me and my little family were sitting around talking in the front room, like we often do. Chatting about this, that and everything. Many of our conversations include places we want to see. This should never be allowed when there’s an airline sale going on when your family has the wanderlust gene (it’s a thing). Before we knew it, kids were volunteering to pay for their $200 plane tickets (way good deal) and we had our trip in motion for Chicago. This spontaneous trip was all planned for the week before Kass and I were to head to NYC, mind you. Only a three day break for us between trips. The reason for the timing on both trips? Hitting ball games with the Cubs (v. St. Louis) and the Yankees (v. Red Sox). And when purchasing tickets, Dan insisted on the bleachers and with the exception of the annoying guys behind us, we felt like we were just about down on the field. Much more fun…if you’re ever wondering about where to sit. 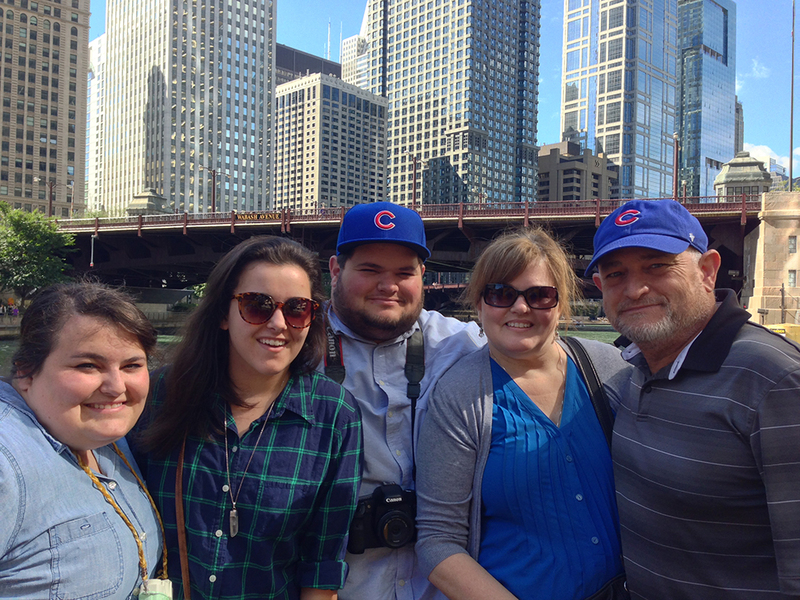 At any rate, after our family trip, Chicago was no longer my kind of town, it was our kind of town. I believe the consensus was that it was the most favorite trip for everyone. The food, the visualness, the everything. It’s funny. 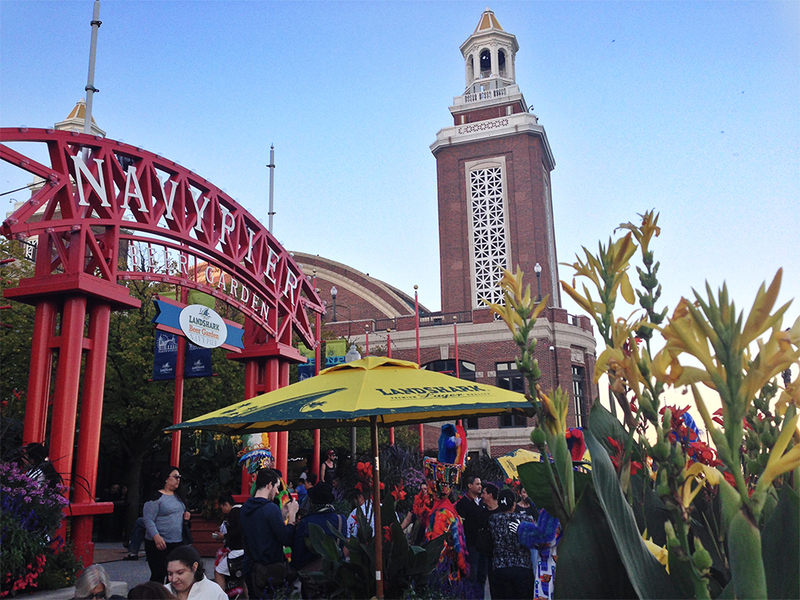 When the kids would talk to their friends about going to Chicago, they’d ask ‘What are you doing there? What are you going for? Why would you want to just go to Chicago? And then they’d ask if we were rich. Uh. Not even. We just watch for good deals and make the most of it. That being said, we stayed at the Springhill Marriott Suites and it was the most I’d ever paid for a hotel. Pretty much standard rates for staying in the city, so it wasn’t the hotel per se. We’d talked about staying out by the airport and taking the ‘L’ into the city for like half the cost, but that really wasn’t what should be done in a place like Chicago. You need to be able to leave the hotel and enjoy the city on a spontaneous moment’s notice. You have to remember that I live in a house of photographers, myself included. Taking advantage of early mornings and late nights…and sometimes in rain. And who doesn’t love food and art? There was no way staying anywhere but the city would work. And we loved the hotel. 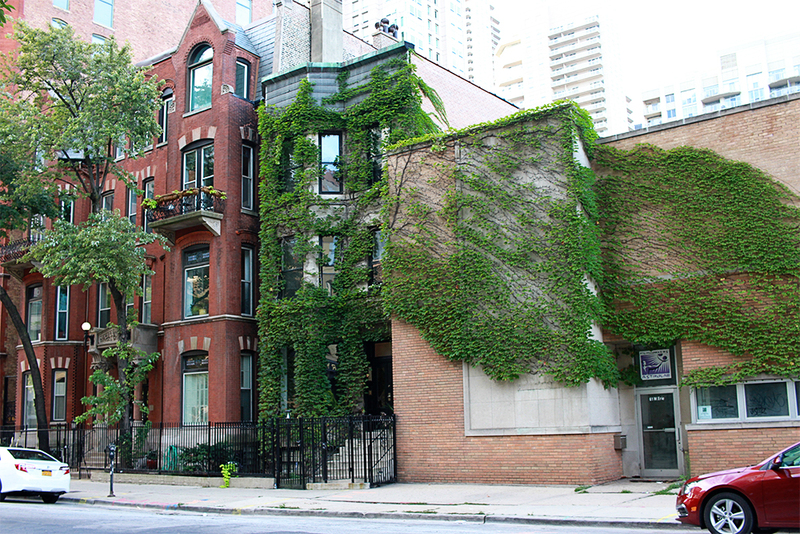 It was about a block from the river and a couple blocks over from Michigan Avenue. 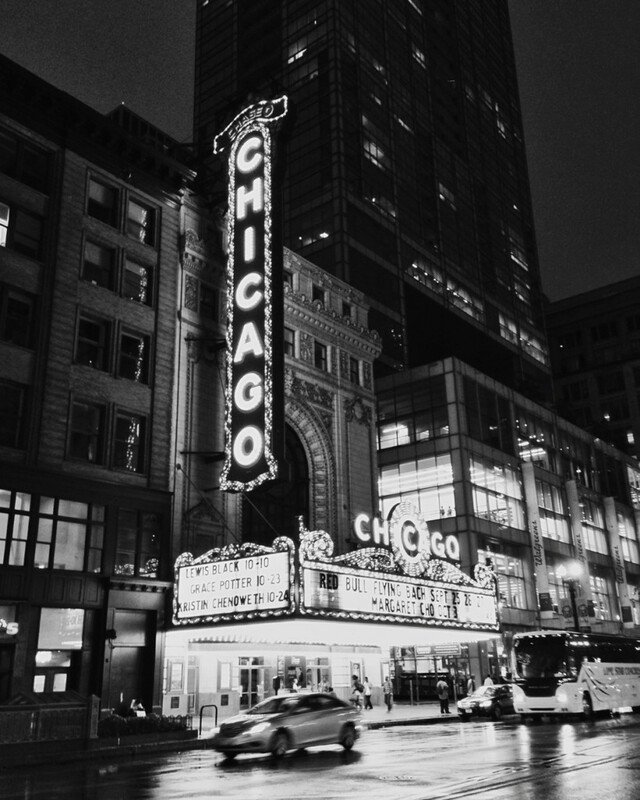 So if you’ve been dying to see Chicago and have been wondering what to do and see, here’s our little take about what we did and loved. And one other note, I opted not to take my Canon 7D and lug it around for most of our outings. That thing just gets heavy. So most of my photos have been taken with my iPhone 5 and pretty much edited with Pic Tap Go. It was kind of liberating. I know I probably didn’t get ‘the best’ shots, but I can always steal from my kids. ;) I did take out 7D one morning to shoot with Zach though. So here we go. Got your favorite beverage? Maybe a little snack? I thought that rather than a day-by-day account, I’d break it up into places we saw, places we ate, and things we did. Hello. Art history people in the house. And history people. Even if you’re not, it really is a fascinating place to see. And I got to see one of my most favorite paintings ever. 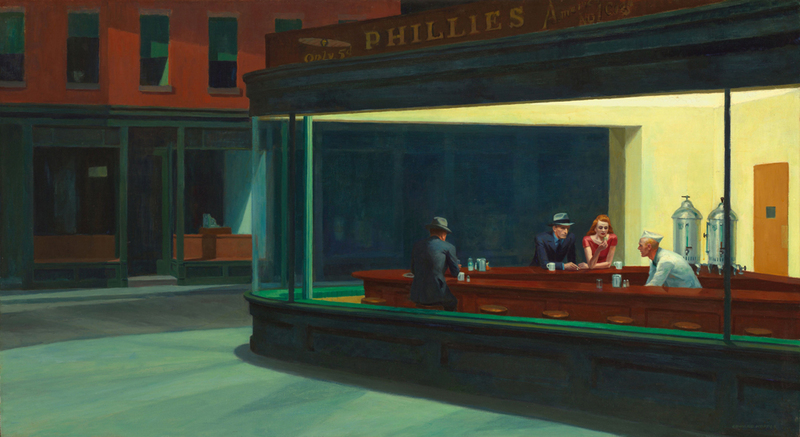 I fell in love with this diner scene (Night Hawks) as a kid playing the game Masterpiece. It’s been a favorite ever since. And I love when they made a commercial from it not too long ago. This truly is quite the marvel. 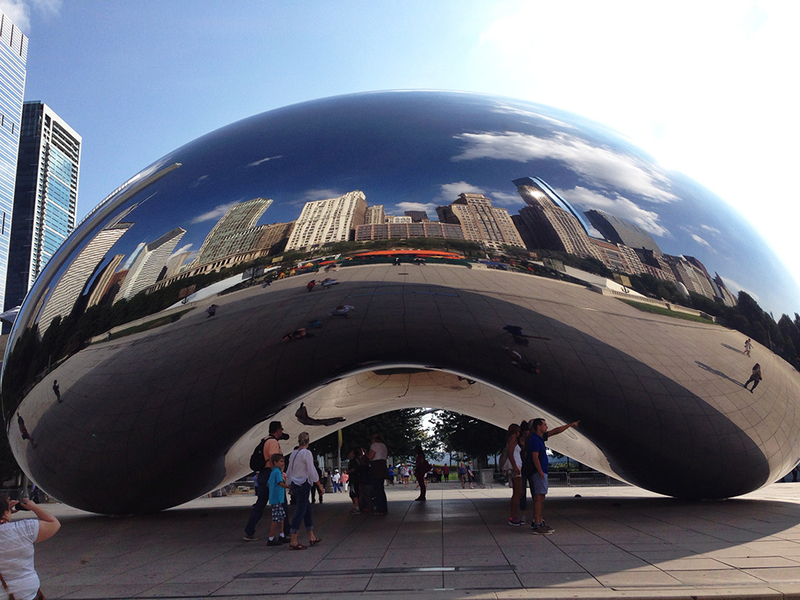 The sculpture is really called Cloud Gate. It was on our walk between breakfast and the Art Institute and a fascinating piece of art to look at. Definitely something to see. This has been one of Dan’s bucket list items he’s wanted to do forever, having played baseball growing up and into college and all. He was even in a Roy Hobbs league, when he reached thirty. Seeing the Cubs play was such a treat. We just wish there wouldn’t have been very drunk and very loud hecklers right behind us in the bleachers. Although, they did have a couple funny lines to the Cardinals left field player, like ‘Piscotty! That’s not a name, that’s an ice cream flavor!’, and ‘Piscotty! Your name has too many ‘t’s!’ But for the most part they were loud, obnoxious, and rude. Sucked the fun out of it a little. 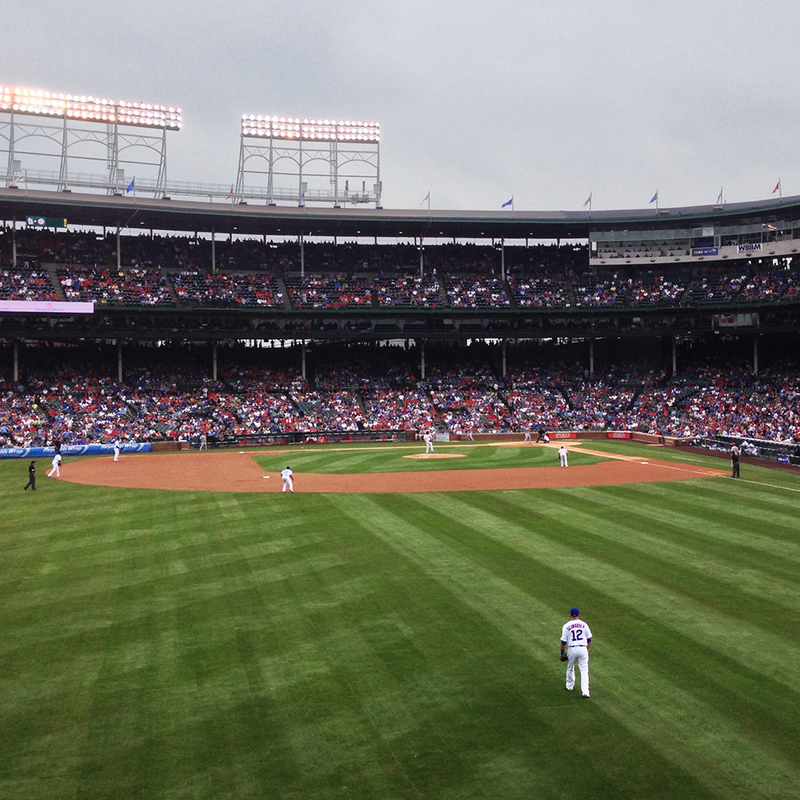 But how fun to see the Cubs play…especially in a year when they almost made it to the World Series! Finally! I really think this is a must-do for anyone. And yes, sit in the bleachers. It’s so much more fun! And it’s cheaper too. And don’t forget your Chicago dogs. While I’ve been here several times and enjoyed it immensely, it didn’t quite have the spark when being there with the fam. I don’t know if it’s because it was super busy there that night or what. But we did enjoy seeing the sunset and listening to a little latin music for something that was going on at the end of the Pier. It was very low-key for us. We took the free trolley down to the Pier too, so if you’re in the downtown area, look for that route and catch it. 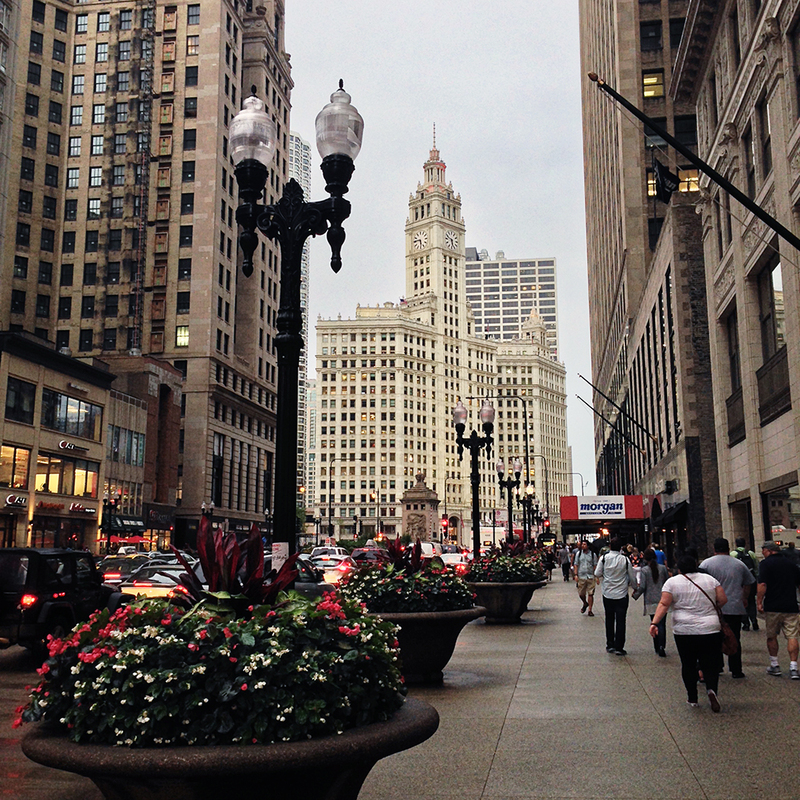 Of course heading down the iconic Michigan Avenue is a must, especially if you want to shop. Stopping at the Water Tower to take a little look too. We didn’t take advantage of any shopping opportunities, but just took a walk to see what it was all about. I’d been there previously, but they hadn’t. And it was really neat to see at sunset as it turned the tall buildings pink. A couple KB peeps recommended this place for breakfast and I just want to say THANK YOU! It was delicious! Hasbrowns+bacon cooked toasty perfection. Amazing pancakes+waffles. The boys enjoyed their different flavorful skillets. 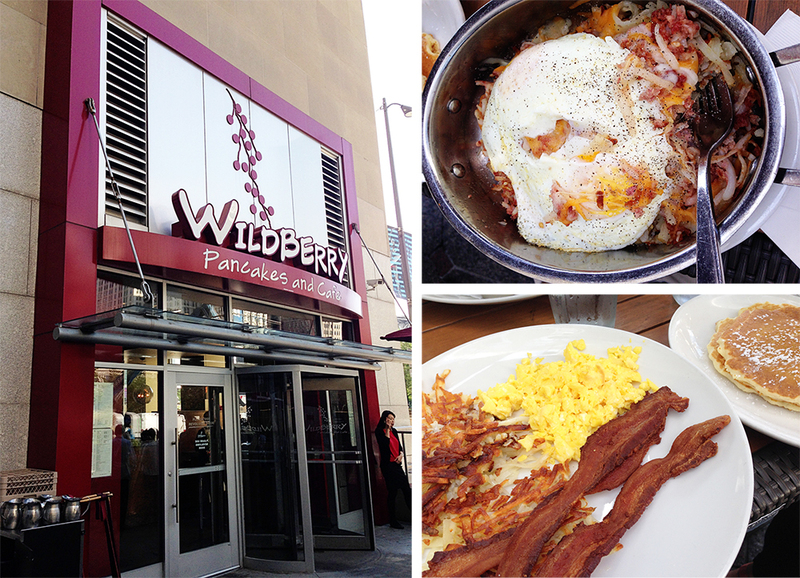 A definite must if you’re going to Chicago. We also enjoyed sitting outside. We walked there from our hotel, ate, and then walked through the park and over to the Art Museum. We ate here on our very first night with the help of Kassidy (this time) and Yelp. 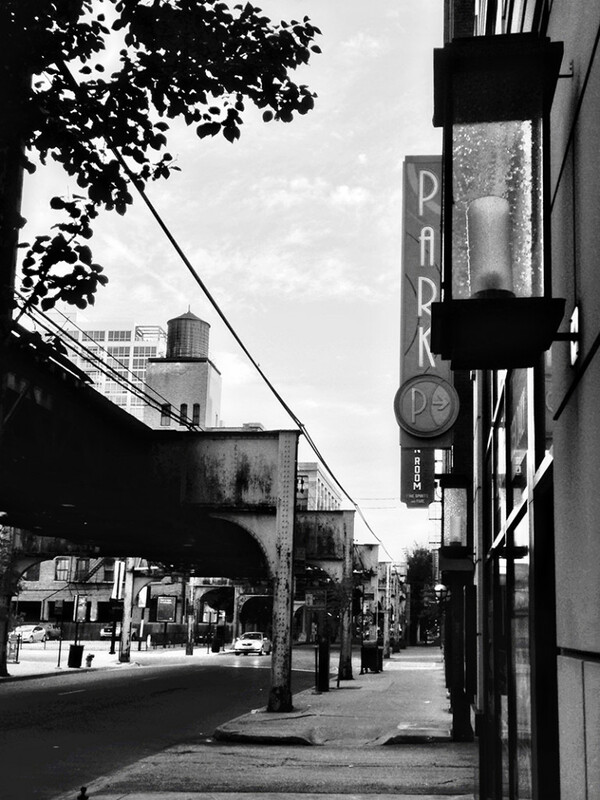 It’s more of a bar than a restaurant…make that hipster bar. We’re talking couches and Saved By The Bell playing on the tvs. It was about 5:00 or so when we went–happy hour–and needless to say, I think our waitress was quite disappointed when the five of us didn’t order any drinks. But by the end, we’d won her over with our assortment of food orders. So much so that she even brought us an extra dish of cheese fries because she knew how much we loved them. Great service! All I can say is wow on the food! They had the best cheese fries and sliders we’ve ever had! Zach was in love with the poutine. It’s fairly inexpensive and we all kept trying (ordering) the various sliders. Amazing, amazing bar food! Check out their menu HERE. It really was one of our favorite places we ate. Perhaps a little dark inside for my tastes, but would go back in a heartbeat. One thing we noticed and loved was how many restaurants had their storefronts completely open. So while there wasn’t much sidewalk for eating outside, you could sit at the front of the restaurant and ‘be outside’. What a great idea. Another favorite has to be Joy Yee. We decided to have lunch in Chinatown after we’d got off our water taxi. We kind of just followed the crowd and boy, were we glad we did! The food was absolutely amazing! I think their menu was one of the biggest menus I’ve ever seen! It took forever to decide what to eat. I’d assumed the portion we were looking at was family style, like many Asian restaurants, but everyone ordered their own thing anyway. (Communication with the waiter wasn’t the best.) Suffice it to say, we shared a little and then we still took food home. Lots and lots of food! And yes, I ordered fried rice for myself. It’s really all I wanted because it sounded so good. Not only that, I shared it with others and others shared with me. Great choice, by the way. 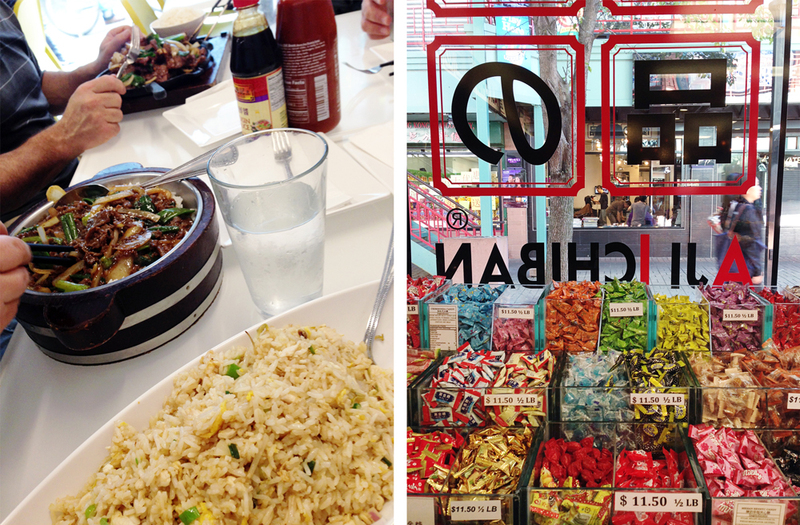 Seriously, the best fried rice I’ve ever had…and I love me some fried rice. Very light. Delicious. And a little side trip there would be to the candy store. Gotta just check that out. So many fun candies–and weird things in there. Everyone told us we needed to hit this place. I think Dan and Zach had even seen it on the Travel channel or something too. It was a toss-up between here and Lou Malnati’s…and we ended up here. We had to have some Chicago deep dish pizza. And while it was good…it was very, very rich. I think I would have been happy with a regular veggie pizza or something. But…when in Chicago and all. 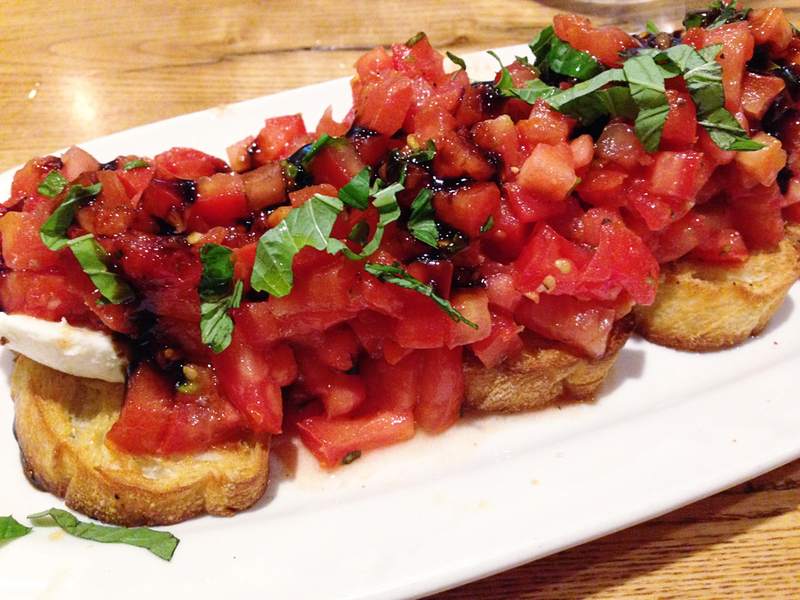 However, this bruschetta stole the show for me. I’m a huge bruschetta fan and this was delightful! This was one of those spontaneous pleasant surprises. 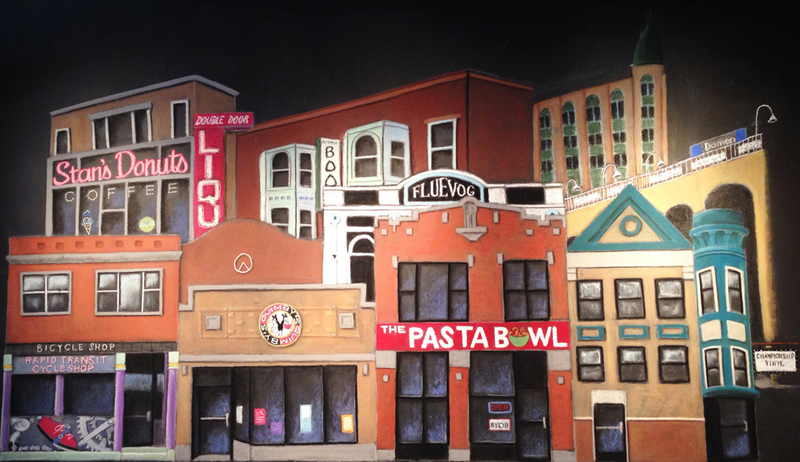 And how cool is this mural in the restaurant??? 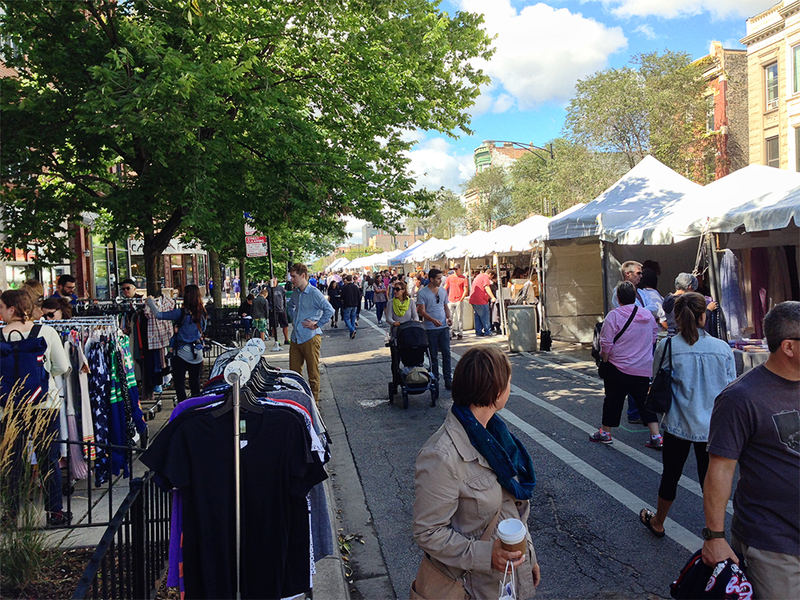 We’d gone to the craft fair in the Wicker Park area (see Things We Did) and were looking for some place to eat. We’d seen a couple places near the ‘L’, but the wait was long or you needed cash for the tacos…and we didn’t have cash on us because we’d spent it at the craft fair. ;) So Jordan Yelp’d away and found this Pasta Bowl place not too far away. They had a lunch special that was wonderful–several choices for a great price–and the food was yum! We’d been to Eataly the night before and while it was good, we didn’t feel as impressed as we thought we would by the looks of it all…and by the price of it all. But we definitely enjoyed gelato there a couple nights! The Pasta Bowl was just good local food and we loved it! I wish we would have hit Stan’s Donuts though. I really wanted to try one. And it was right there by the ‘L’ too…as shown in the mural there. Our first night there we walked along the river. It’s lovely. There are restaurants, lots of graduated steps for sitting and just enjoying the view. I think when I read up on it, the longer walk along the river was something fairly new. Great idea though. I loved the views of the city, especially the Wrigley Building. It’s one of my most favorite buildings ever. This was one of our favorite things we did at the suggestion of one of the KB peeps. I’d always wanted to do the architecture boat tours but never had been able to squeak one in on a trip. After talking with the concierge at our hotel (our concierges were amazing, by the way), we found that the cost of the tours were $30-something a piece. Like I said, we’re not rich (ha ha), so I asked him about water taxis so we could just stroll up the river. He happened to have four water taxi passes that he just gave us, which was wonderful! (We tipped him, of course.) All we needed to do was purchase one more all-day pass, which I think was $7 for that day. I really recommend this if you’re on a budget. The day was beautiful and while we may not have had the history, it was still a wonderful sight. And it wasn’t so ‘touristy’ either. Very calm. Not very many people, if any. We loved it. We took this up to Chinatown and ate at Joy Yee (Places We Ate). And with the water taxi, the pass is good all day, so do something during the day and then do a little tour in the evening. I’m not exactly sure when this occurs, but they happened to be raising them that weekend to get the sailboats up the river. Being a bridge fanatic, I loved that we spontaneously got to be there when this happened. The man running the bridge told us we couldn’t go across until it started to raise (ha ha). Like I said, this is a photographic family. Part of the reason two-thirds of us wanted to go to Chicago so badly was to take pictures. There’s a different energy walking around at these times than just walking around the day like a typical tourist. Kass and Zach went out early one morning and Zach and I went out another morning. All three of us went out one night and it was drizzling. Still. 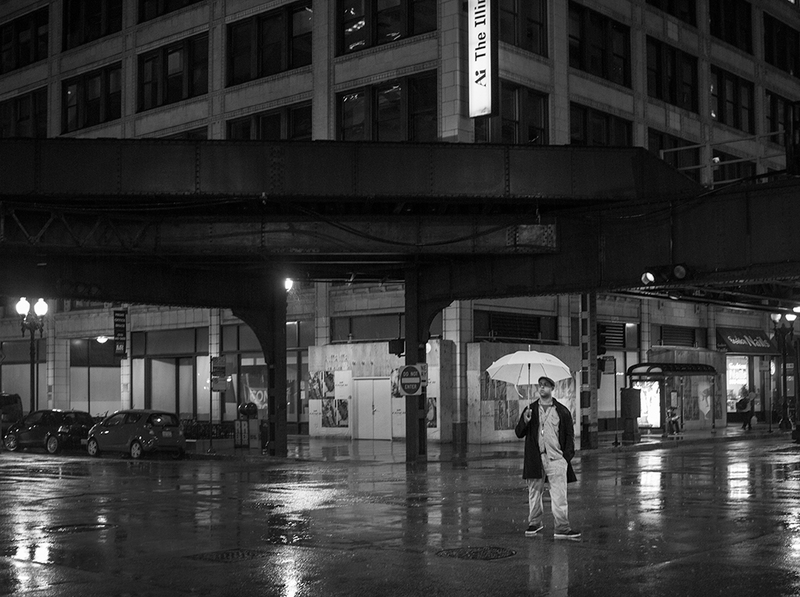 Great photo opportunities–like this one that Zach took of a man just standing in the street with an umbrella. 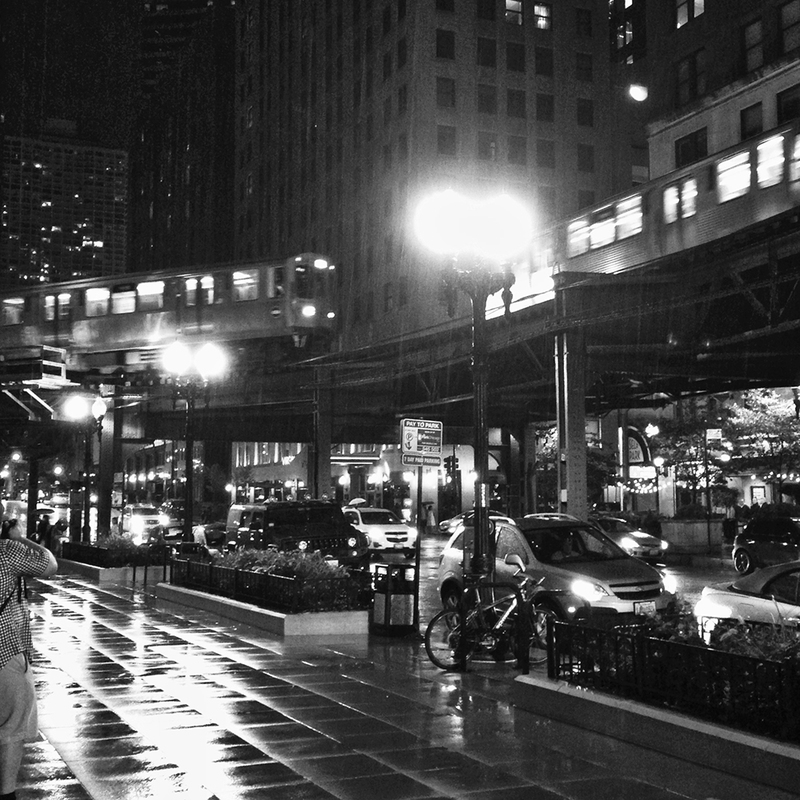 And the one I took of the ‘L’ with my phone (wasn’t gonna haul my 7D out in the rain). But the morning that Zach and I went out, this moment just caught my eye. 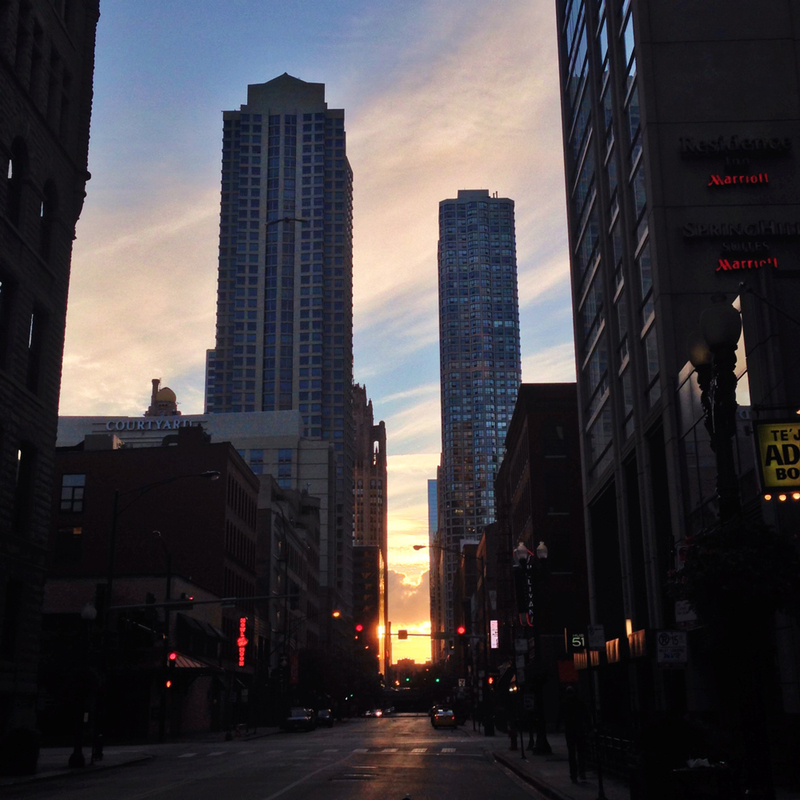 I found seeing the glimpse of sunrise between the buildings to be a wonderful moment. That amidst these tall buildings that reach up to the sky, you could see through to the lake area and still catch a peek at the sun rising in the east. Loved the moment. What was also awesome about getting up early to shoot was the fact that it was a Sunday, which meant we had a lot of the streets to ourselves. That was fantastic! Nothing like standing out in the middle of the street to get shots like this. Question. Do you locals hate the ‘L’ running through your city like this? To us visitors, it’s amazing! We loved the character that it adds to your fabulous city. And this was actually really cool. I wonder which way the wind blows here in The Windy City? While we were there, the Renegade Craft Fair happened to be taking place. Knowing that it would have crafts, arts, jewelry and small businesses from places all over, we decided it would be something worth going to…and it was. Well, for four of us, anyway. ;) Dan wasn’t too much into the browsing, but we all took advantage of some great little finds. It takes place in Wicker Park on Division Street, so it was a good excuse to go out beyond the main city and see something else. It really was a pretty little area. This was pretty much Jordan’s responsibility while we were there. She would look things up for us when we were looking for a good place to eat when we didn’t have an idea already in mind or we were some place ‘else’. Get two of everything if you can. I collect any and all paper materials I can get my hands on, including business cards, flyers, tickets, stubs…you name it. And if I can collect two, one for my travel journal and then one for when I actually put an album together…all the better. Be willing to be spontaneous. Part of the fun+adventure of a trip is just going with the flow. Like finding a great place to eat by chance. Don’t be afraid to talk with people. Some of the best moments are when you engage with other tourists or the locals. Both can share great places they’ve done too. 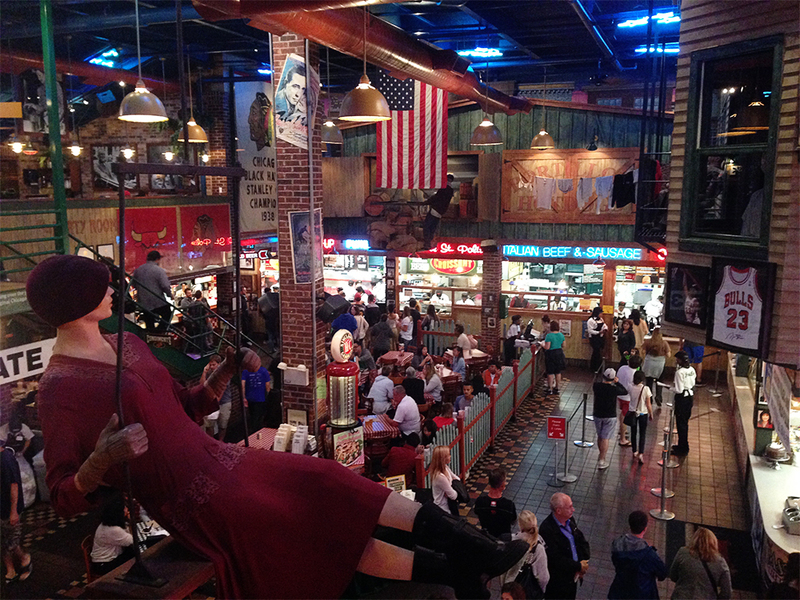 In fact, when talking with our concierge, we told him about the place Henry’s, which was just around the corner. He’d never even known it was right there or how good it was! He was recommending it to other people after that. Check the city website for events going on while you’re there. This is such a great piece of advice because you know in advance what’s going on and if you’d like to attend, as was the case for us and the Renegade Fair. I think we were all so happy to have gone and that it was going on while we happened to be there. I don’t say this from a hipster point of view, I say this from a ‘if I don’t, then I’ll forget’ point of view. I love having visual record of what and where we ate. It may not always be ‘Instagram-worthy’, but at least I’ll know and remember a whole lot better. I think this is something you should really keep in mind. I tried to plan the events that we were doing so that if we walked a lot one day, then the next day we wouldn’t spend as much time on our feet. Riding trains or water taxis contributes to that sit-down time. I think that being mindful of it this time around made–as well as the activities we chose to do working with that theory–made the trip even better. I took over 1000 photos on this trip. I could go on and on. But, I digress. There are things that we would like to have done, but there’s only so much time. Alas, it gives us more to do when we go again. ;) Hopefully what I’ve shared will help you on your next trip to Chicago or entice you to go there. It’s a visual and tasteful delight…and definitely worth it! You captured some beautiful photos of my hometown. I miss living there. So glad you had a nice trip. Thanks for sharing. Great post and pics! I live in the Chicago suburbs and go into the city quite often, but seeing your post really makes me want to stay at a hotel and do it up like your family did. 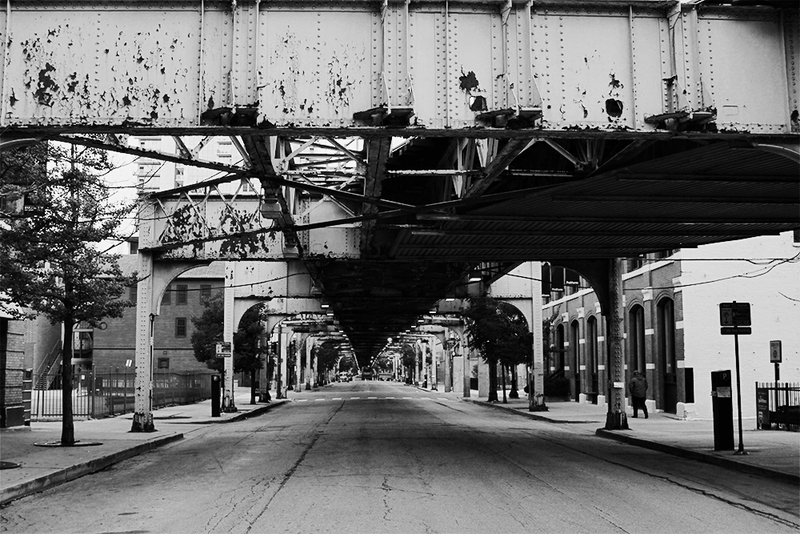 As for the L, my niece lives in the Bucktown neighborhood (next to Wicker Park) and has said that the L is a part of life in the city and they use it frequently to get around. I’m 42 and have yet to ride it. 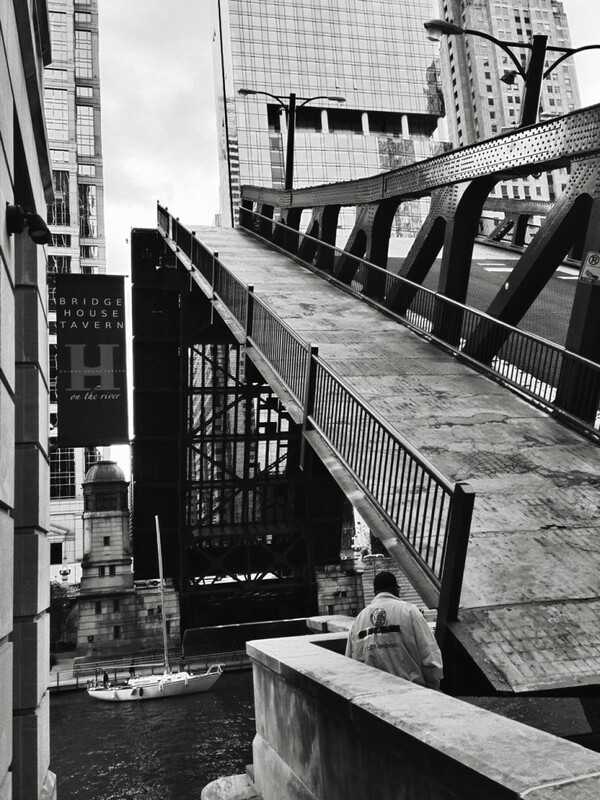 Thanks for posting your beautiful take on Chicago! Love Chicago, though I haven’t been able to just explore. Last time I went was to the Christkindlmarket in December. Wicked windy but so much fun! Giordano’s is definitely rich, but a must for me. There is so much packed into each piece! (I am a northern girl so I tend to only like New York style so this was way out for me the first time I tried it lol) I got a new camera for Christmas so you definitely have me thinking another trip is in order. Maybe by myself so I can just wander and explore at leisure! 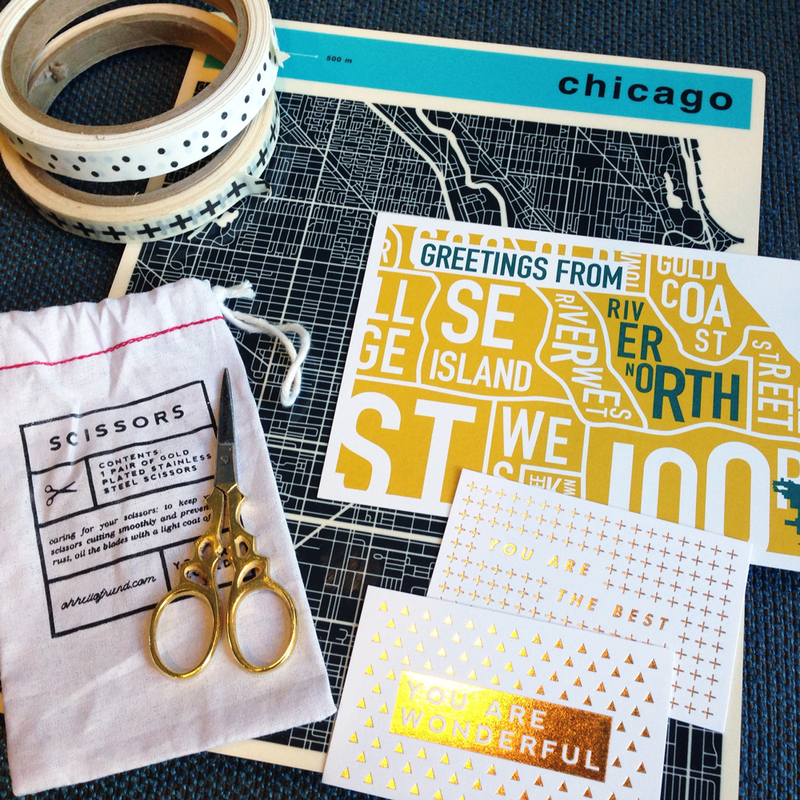 I loved this post – because I am from Chicago – have never lived anywhere else. 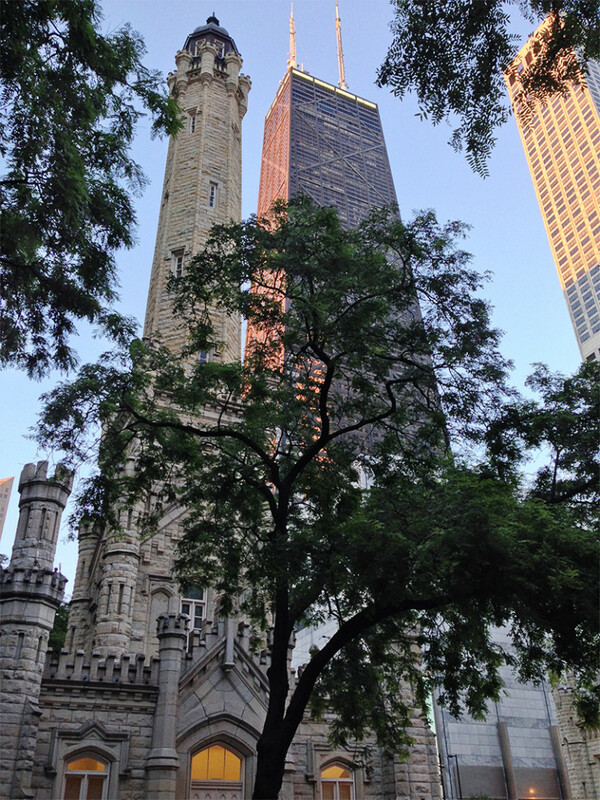 I live in the ‘burbs, but my daughter lives in Old Town, just off Michigan Ave north of the Water Tower. So I am in “the city” all the time, and love it. And yes, I love the “El” as most people do, but one reason my daughter chose to live where she does is that the El stop is directly across from her apartment and is UNDERGROUND in that part of the city. So she has the convenience with no noise. Neither her nor her boyfriend have a car – they take the El or walk everywhere. 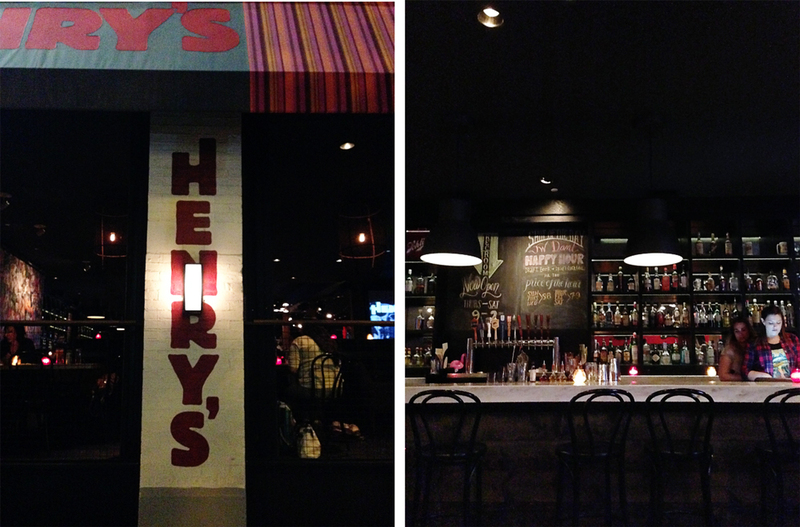 And thanks for the tip on Henry’s – never heard of it, but it looks interesting! Wow, what beautiful photos. Looks like a really wonderful trip to Chicago. Chicago is on my wish list, I hope I can get to visit the city one day. Thanks for all your tips and ideas. I already look forward to the album you are gonna make of it. Hope you will share it. I love to look at your New York City album from the Everywhere-class. Such a great example. Maybe one day I can make such a beautiful album too. It is hard to pick exactly the right photos to fit in the page protectors. I really struggle with that. We’ve only been to Chicago once, but my husband and I just loved it and we’ll definitely be going back for a longer visit. I’m so glad your whole family could go – once the kids grow up it can be very difficult to get everybody together at the same time! We’re discovering that a fun destination encourages participation. Looks like you had a great time and you guys took some beautiful photos. love love love Chicago, its a happening town! New York is over rated IMO. There is always something going on and its a beauty of a city to walk, photograph and eat your way through the city. 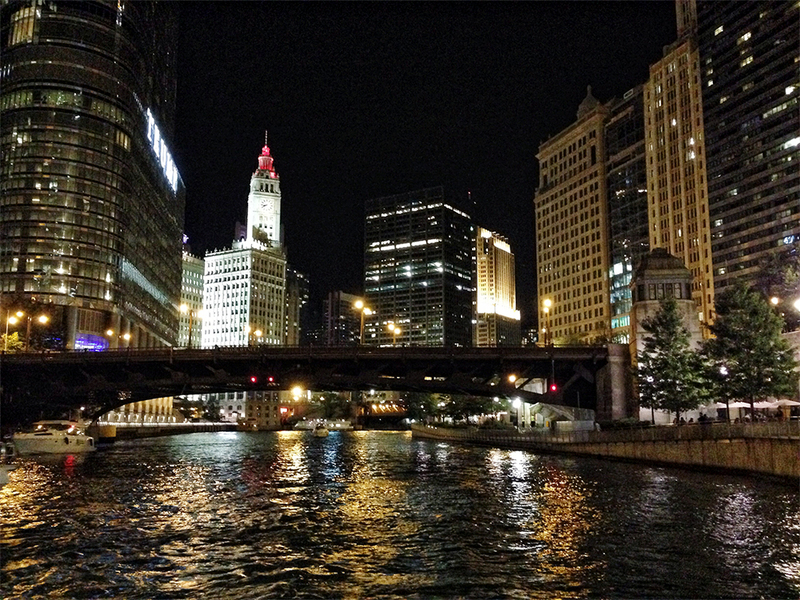 We live 45 minutes from Chicago and it is always better to stay downtown to really get the feel of the city. My husband use to live downtown and it was nice to just walk and explore the city. It was nice to read how much you loved visiting Chi town. It really is a fun place to visit all year round. I think my family would agree with you Linda. Although, I did really enjoy seeing more of the SoHo/Greenwich area this last time. 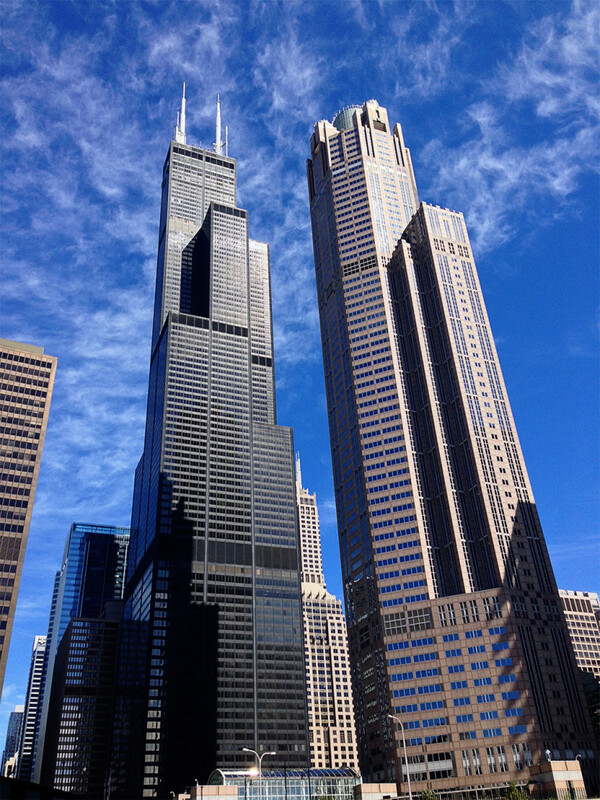 NYC is fun and we enjoy it, but there is just something about Chicago. Well now, doesn’t that sound like an intriguing idea! While you touted Chicago as your kind of town, you never bothered to visit the Southside, where I live. WE are often overlooked and ignored (we have a baseball team too you know – the Sox). There is much to see here if people would spend a little time off of the beaten track. I’m disappointed that you never bothered to visit the Southside, where I live. WE are often overlooked and ignored (we have a baseball team too you know – the Sox). There is much to see here if people would spend a little time off of the beaten track. That was one of my most favorite things we did when we went to CHA one year. We’ll just have to put that on the agenda for our next trip. There’s just too much to do and never enough time. And you should share some Southside tourist tips here. We’d LOVE to know what to do in many places there! Oh I’ll have to book mark this as my husband wants to run in the Chicago marathon. he said we would have fun there….Now that i’ve seen this, I think we would. Can’t wait to see your Chicago Scrapbook. I love this post Kerri and am so glad you enjoyed your time here! Living here in the cold weather sometime makes you forget a bit how great Chicago really is. This city is amazing, especially in the summer, when there is always somewhere to go or something to see. If you ever come back, as a southsider, I definitely recommend visiting Pilsen for its wonderful street art and culture (and good food!) and Bridgeport has some great eats too. Oh and the L is such an integral part of the city, i can’t imagine it not being around, it’s an appreciates asset for sure! We have visited Chicago a number of times in the past few years as our son was working on a PhD at the University of Chicago. Such a fun city to visit (if you choose your seasons well–winter & midsummer, not so much!). Our son and his wife lived in both Lincoln Park and Hyde Park and got around mostly on foot & with the subway, and had many favorite restaurants and interesting places to see. I’d highly recommend Xoco’s the next time you’re there–truly amazing Mexican food. Also Purple Pig–which is right on the river. Son finally got his degree last June and moved to LA (where they are much happier–way more for an outdoorsy person to do), so I doubt I’ll go back, but I loved seeing your photos! Loved the photographs. Thanks for sharing!